Just like any other woman in labour, Victoria is pushing, being monitored and reassured by midwives and obstetricians. She tells them she’s going to be sick, and she wants something for the pain. Only Victoria isn’t real. 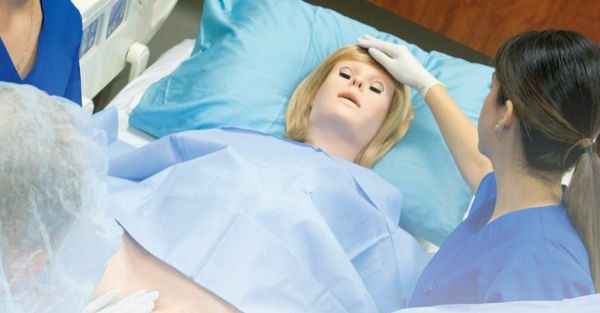 She’s a high-tech birthing simulator, being used to train health professionals. 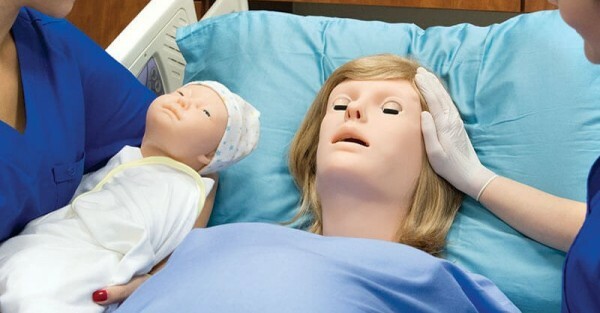 It may be a little creepy, but this mummy mannequin is the ultimate in birth training. As we’re told at antenatal classes, each birth is different, and Victoria can help train health professionals for just about any possibility. Breech, haemorrhaging, episiotomy, and emergency situations. Victoria has an anatomically correct birth canal, with a cervix that dilates. As the baby is being born, it moves and rotates just like during a real birth. She even talks during the birth, and her baby needs its umbilical cord cut once born. Worth about US$65,000 each, creator Gaumard Scientific says Victoria is being used in 24 US states for medical training.